Good morning, smoking Dan's sweet vanilla honeydew in a Triptow as I wait to fuel. I filled the Stanley with tea today, PG Tips. Orlik DSK in this Falcon. 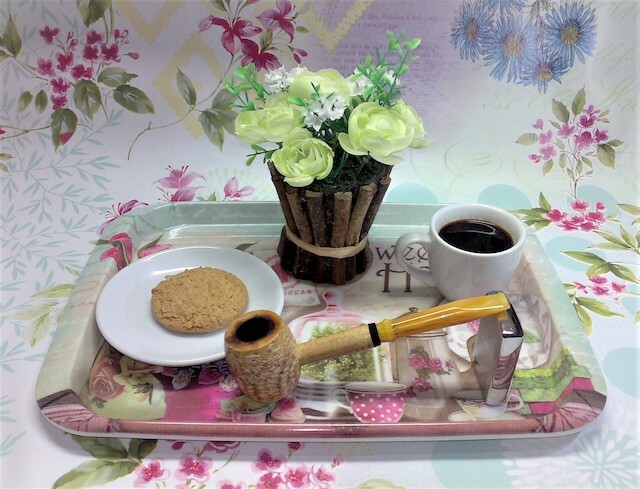 It is one of those things that is the poorly kept secret of pipe smoking. Somehow it is ok to smoke cobs and be surprised by what great smokers they are. Every now and then, you see the same love for the American drugstore pipe, but it is a lot more unusual. The Viscount that is in the group off the rack this week is a pipe someone took and spent a little time "finishing." The bowl interior edge has a slight bevel. The exterior edge is slightly rounded. It had a matte finish. It is just a great pipe in terms of function and in terms of aesthetics too. I bought it because I wanted a Grabow 69Y in memory of Ed James. It was $12.99 or something shipped. What is not to like?